Southeast Asia's #1 Teambuilding and Training Company. We provide indoor corporate training tailored specifically to your particular objectives and needs. Our goal is to catalyze elevated performance in the workplace through deep and empowered learning in unique, people-centered environments. The programs are hyper-customized for each client's unique needs, and are delivered in an enjoyable, relaxed atmosphere. 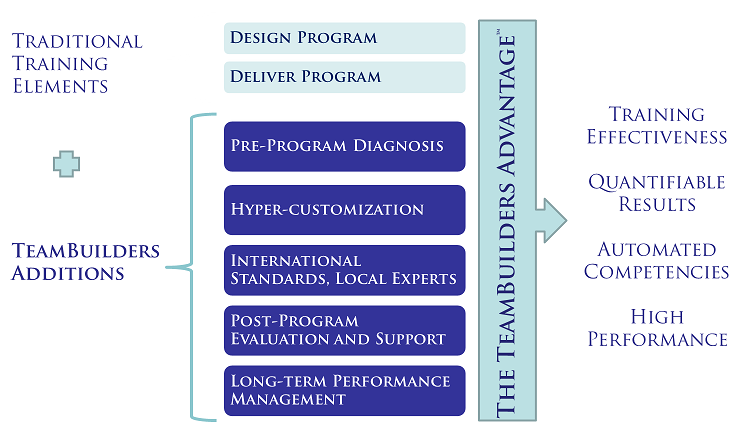 An outline of our custom approach to designing and delivering training workshops is below. We are noted in the industry for our innovative, cutting-edge training methods in three areas: Career Development, Team Development and Leadership Development. A partial menu of these workshops is below. A full menu of all our training programs can be found on this website's "Brochures" page.